Belgrade, Serbia – April 25, 2012 – The Centre for the Promotion of Science and the Mathematical Institute of the Serbian Academy of Sciences and Arts held the press conference, regarding the science-popular manifestation “May – a math month in Serbia” to be organised in Belgrade and 15 other cities in Serbia. The communication and language network Verbalisti, owned by Prodirekt, gladly accepted the invitation to support this worthwhile project. Verbalisti, as one of its major media sponsors, will cover the project activities throughout Serbia and contribute towards instigating scientific curiosity and motivating Serbian citizens to take interest in science and math as much as possible. 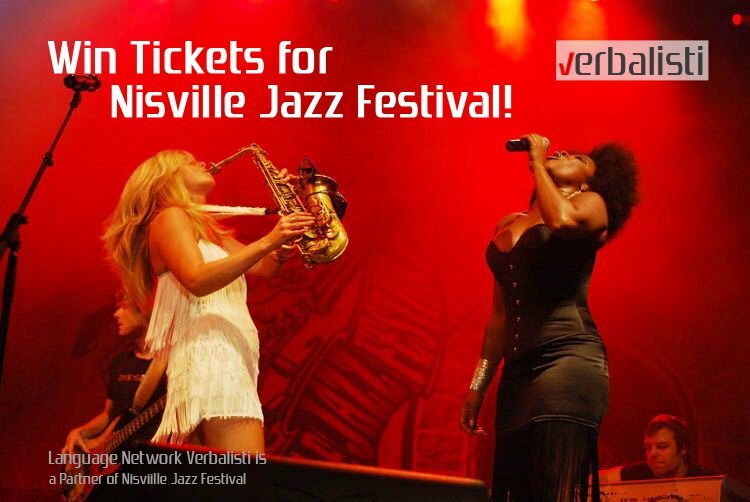 Belgrade, August 14th, 2011 – PRODIREKT and the language network Verbalisti have partnered with the organizers of the largest jazz festival in Southeast Europe – Nisville, with the cooperation recently extending to the possibility of musical education. This year again, the organizers set up several performing stages within the walls of the enchanted Nis fortress, which became a great playground for the vibrant summer Festival spectacle. In the course of four days, from 11th to 14th August, the jubilant spectators had the opportunity to see the famous jazzists and celebrities, such as, the saxophone player Hans and Candy Dulfer, swing band “Jive Aces”, trumpet player Tom Harell, the guitar wizard Stanley Jordan as well as Vasil Hadzimanov and Lena Kovacevic. As every year, the Festival has organized a free workshop for vocals and most of the jazz instruments – the piano, guitar, base, brass and wood wind instruments.